123 Accounting Services LLC is a Northern New Jersey CPA firm that assists owner operators, over-the-road commercial truckers, and trucking companies of all sizes with their transportation accounting needs. We employ proven accounting solutions and financial strategies that are a result of years of experience working with clients in the trucking industry. We offer bookkeeping, payroll, financial statements, tax planning and much more. With our support you’ll refine internal controls, manage your money effectively and keep more of your profits. Tax preparation for truckers and the trucking industry is more complicated than the average tax return. When you work with us you’ll be confident that you’re taking advantage of all possible deductions. We stay on top of any changes in the tax code and how they impact your industry. We’ll not only make sure you’re in compliance with all applicable tax regulations, but with 123 Accounting Services LLC in your corner, you’ll never pay more than you owe. We invite you to contact us at 862-248-0477 and set up a free initial consultation today to learn more about our transportation tax and accounting services. Get the reliable financial support you need with a wide variety of accounting and bookkeeping services including weekly financial statements and internal controls analysis. We offer tax preparation for truckers, year-round tax planning and state and local tax services for transportation businesses. We’ll setup QuickBooks to accurately record your financial data and provide support to troubleshoot problems. A CFO or controller can provide the pointed financial direction that contributes to the long-term growth and success of a business. Find out how we can get your business to the next level. Outsourcing all or part of your accounting and bookkeeping functions to us is a cost-effective alternative to hiring an internal bookkeeper. 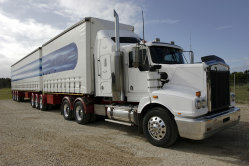 If you’re starting a new trucking business we can advise on which entity is right for you. We can also work with you to devise a reasonable business plan and obtain financing.